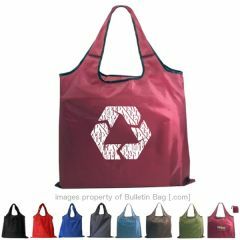 Bulletin Bag [.com] offers a hand-picked assortment of folding bags. 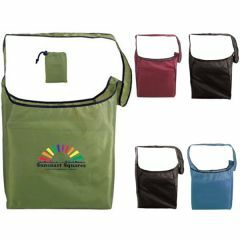 These compact, foldable shopping bags can fit in your pocket, car, or purse and are designed to be custom printed with your logo or message. More municipalities than ever are considering single-use plastic bag bans or fees, and custom bags continue to enjoy popularity. Folding tote bags have always been a sought-after option, but since more people than ever are bringing their own bags to shop, having foldable shopping bags stashed close by are seen as nearly essential. 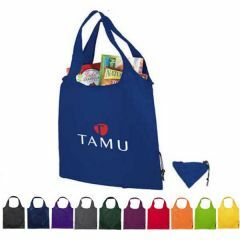 Our high quality selection of folding tote bags come in lots of different colors, several varieties of material, and price points that fit within many budgets. 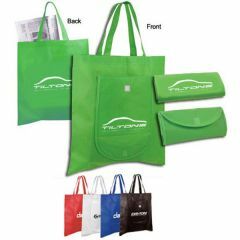 Custom folding bags have a higher perceived value than some other kinds of shopping bags. Plus, their portability, combined with your organization’s messaging, creates a lasting item. 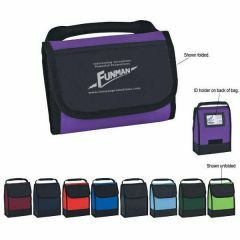 Our custom folding bags have large imprint areas and are a great fit for events, promotions, fundraisers, and retail stores!